By circumstance I mean the resistance offered by experience to the medium as its instigation, which, in the case of Mahon’s relation to Ireland and Ulster, becomes the twisted loop of affiliation and disaffection walked by the poets described in Seamus Heaney’s “Place as Displacement” (1984),6 and imaged, more broadly, in Mahon’s “Girls on the Bridge”, as the mile of road where Munch’s teenagers–“Grave daughters / Of time” and “Fair sisters of the evening star”–meet the “punctual increment” of their lives in a scream (CP 152-53). Regardless, or therefore, the act of conjuration practiced in such poetry is an attempt to dispel–not the significances evoked through, as well as by, a painting, but–the anxieties confessed by and in the poem to the painting. The poet talks to the painting: we simply overhear. 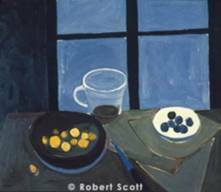 In that sense, the poem depends on the painting, not as a pretext, but as the silently initiatory presence in a conversation across time. It dissembles itself as marginalia, but only in order to over- or under-whelm the painting from this vantage point of marginal vision. It is willing to occupy an adjacency apparently twice-removed from experience, folded over itself between allusion and divagation, as between estrangement and attachment. Such poems treat the space of the painting as a liminality to be crossed by, or in, the poem into an alterity which may be recognized as what Michel Foucault meant by the notion of heterotopia,15 and Paul Muldoon has treated, more recently, through Beckett’s allusion to a narthex.16 I shall first refract Mahon’s poems through the Foucaldian notion, and then explore the suggestive power and applicability of Muldoon’s narthex in respect of Mahon. Foucault’s notion focuses on sites which contradict the connections they establish. 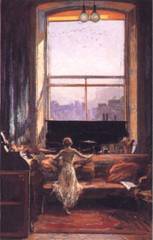 It dissuades us from treating mimeticism as if a picture were a mirror or a window, even if the model in Sir John Lavery’s “Daylight Raid from My Studio Window,” which graces the front cover of Mahon’s Collected Poems (1999), is arranged in such a way as to have us looking at her back as she looks out the large bay window. Foucault claims that “heterotopia is capable of juxtaposing in a single real place several spaces, several sites, that are in themselves, incompatible” (268). The recognition of such a co-existence of divergent possibilities is the knowledge discovered by the poet in the conversation of poem with painting. Foucault characterizes heteretopic space as beginning “to function at full capacity when men arrive at a sort of absolute break with their traditional time” (269). He illustrates the spatial embodiment of a break in time through several lists. First there is boarding-school, honeymoon hotel, rest home, psychiatric hospital, cemetery, barrack and prison. Then there is theatre, cinema, garden, and rug. And then there is museum, library, archive, festival and fairground. To this we can add poems that make sustained allusions to paintings. 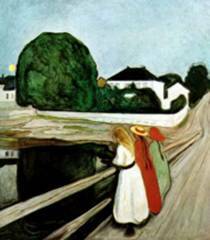 They function like the two bridges in Mahon’s poem “Girls on the Bridge:” the first bridge is that of the allusion to at least one of several paintings by Munch on the theme of “Girls on a Bridge” (c1900-1901), and the second bridge links the allusion from one picture to another Munch painting, “The Scream” (c.1893-94). 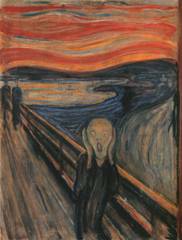 That “The Scream” should have preceded “Girls on a Bridge” by about seven years in Munch’s oeuvre illustrates how the break in time that Mahon (and Foucault) might have in mind is not be seen in simple linear terms. The break, as Mahon’s poem may be said to labour the point, is also a jointure, and what it connects is two distinct fragments of knowledge, each true in its own time-space (Bakhtin would have said, chronotope), more poignant for being held together in forced stereoscopic disjuncture. The reason that could be said to address or redress this disjuncture, leads Foucault to the final function he attributes to heterotopia: purification. Heterotopic space either “exposes every real space … as still more illusory”, or “it can create another space, “as well arranged as ours is messy, ill constructed and jumbled” (271). If Mahon’s “Girls on a Bridge” exposes the mutuality between the two Munch paintings as an either-or that impels them towards collision, another variety of allusive poem illustrates the function of heterotopia as purification through compensation. Mahon’s Placidus could be said to have entered a narthex in which his culture of ritual violence is suddenly brought up short against the power of a very different kind of exhortation. “Imarrhage” is also a staple of Mahon’s tempering art. 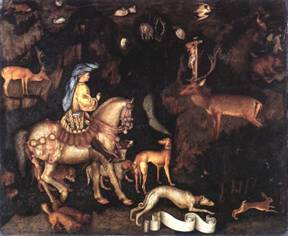 As with Pisanello, the mildness and the “contumacy” are held unblinkingly, like grit, in the eye. In such a poem, the painting is not ironicized, it enables Mahon to use opposed forces–Christian love and Roman contumacy–to ironicize each other. In this overheard conversation, the poet does not speak to the painting, he hustles it into disclosure. That which had been held latent in the silence of the visual medium is pushed from its veiled translucence to a more pungent and acrid declaration. One might repeat with Muldoon that Mahon (and each painter that he converses with) is “therefore hard-wired, as it were, to simultaneously embody both attachment and estrangement” (123). 1. Derek Mahon, “The Forger,” in Collected Poems (Loughcrew, Old Castle: The Gallery Press, 1999), 24. This book is hereafter referred to parenthetically in the text as CP. 2. For “firtsness,” see C. S. Peirce, “The Reality of Firstness,” Harvard Lectures on Pragmatism (1903), “Lecture IV: The Seven Systems of Metaphysics,” in The Essential Pierce, edited by The Peirce Edition Project, vol. 2 (Bloomington: Indiana University Press, 1998), 188, and “What Pragmatism Is,” (1905), 331-45. Cf. Collected Papers, vol. 5 (1993), 66-81. 3. Elizabeth Bishop, quoted in The Voice of the Poet: Elizabeth Bishop (Random House Audio Books). New York: Random House, n.d., 34. 4. Declan Kiberd, “From Nationalism to Liberation”, in Representing Ireland: Gender, Class, Nationality, edited by Susan Shaw Sailer (Gainesville: University Press of Florida, 1997), 21. 5. For example, Robert F. Garratt, Modern Irish Poetry: Tradition and Continuity from Yeats to Heaney (University of California Press, 1986): “The expatriated or outside perspective…reserve, reticence, an uneasy cosmopolitanism … dissociation… a final inability of the imagination to take root (263); “ … posture of exile” (265); “A frequent version of this isolation comes in the image of a poet at his window…” (272); “The poetic quest has become Mahon’s hunt by night” (273). 7. Wallace Stevens, “The Relations between Poetry and Painting,” Stevens: Collected Poetry and Prose, selected by Frank Kermode and Joan Richardson (New York: The Library of America, 1997), 741. 8. Mieke Bal, Quoting Caravaggio: Contemporary Art, Preposterous History (Chicago and London: The University of Chicago Press, 1999), 8-9. 9. Hugh Haughton, “‘Even now there are places where a thought might grow’: Place and Displacement in the Poetry of Derek Mahon,” in The Chosen Ground: Essays on the Contemporary Poetry of Northern Ireland, edited by Neil Corcoran (Bridgend: Seren Books, 1992), 104. 10. 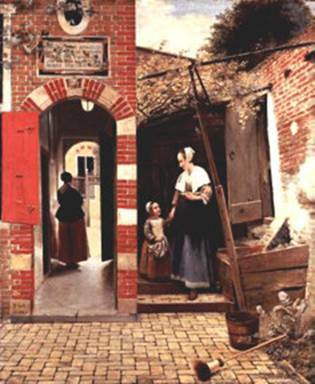 Walter Liedtke, Vermeer and the Delft School (New Haven and London: Yale University Press, 2001), 282. 11. Walter Benjamin, The Origin of German Tragic Drama, translated by John Osborne (London and New York: Verso, 1977), 45. 12. Derek Mahon, Poetry Ireland Review 14 (Autumn 1985): 14. 13. Edna Longley, “Derek Mahon: Extreme Religion of Art,” in Poetry in Contemporary Irish Literature, edited by Michael Kenneally (Gerrards Cross: Colin Smythe, 1995), 289. 14. Derek Mahon, Selected Poems (Oxford: Oxford University Press, New York: Viking, 1991), 144. 15. Foucault, Michel. In Politics-Poetics documenta X – the book. Edited by Catherine David et al, 262-272. Ostfildern: Cantz, 1997. All subsequent parenthetical page references refer to this source. 16. Paul Muldoon, To Ireland, I (Oxford: Oxford University Press, 2000). 17. Ironically, it has been observed of the Ashmolean Museum painting: “The ‘nocturnal’ or ‘moonlight’ tonality is due in great part to the tonal change sin the pigments, above all the greens, browns and blues which have grown darker, while the yellows and reds are well preserved,” in Franco and Stefano Borsi, Paolo Uccello (London: Thames and Hudson, 1994), 342c. 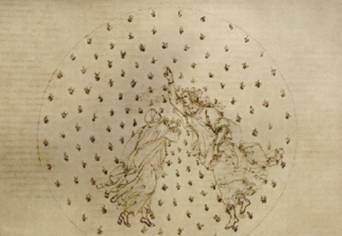 and Sandro Botticelli: The Picture Cycle for Dante’s Divine Comedy, Hein-Th. Schulze Altcappenberg, et al. (New York: Harry N. Abrams), 2000. 19. Derek Mahon, Poems 1962-1978 (Oxford: Oxford University Press, 1979), 114. 20. Mahon, Poems 1962-1978, 14. 21. Wallace Stevens, The Necessary Angel: Essays on Reality and the Imagination (New York, Vintage Books, 1965), 174-175. 22. Quoted Muldoon, 17, from Samuel Beckett’s Trilogy (New York: Grove Press, 1955), 293. 23. Seamus Heaney, “Mycenae Lookout,” The Spirit Level (London: Faber & New York: The Noonday Press, Farrar Straus Giroux, 1996), 35. 24. James Fenton, “Pisanello: The Best of Both Worlds,” in Leonardo’s Nephew: Essays on Art and Artists (New York: Farrar, Straus and Giroux, 1998), 46. 25. Mahon, Selected Poems (1991), 144. Bal, Mieke. Quoting Caravaggio: Contemporary Art, Preposterous History. Chicago and London: The University of Chicago Press, 1999. Beckett, Samuel. Trilogy. New York: Grove Press, 1955. Benjamin, Walter. The Origin of German Tragic Drama, translated by John Osborne. London and New York: Verso, 1977. Bishop, Elizabeth. The Voice of the Poet: Elizabeth Bishop. Random House Audio Books. New York: Random House, n.d.
Borsi, Franco and Stefano. Paolo Uccello. London: Thames and Hudson, 1994. Fenton James, “Pisanello: The Best of Both Worlds,” in Leonardo’s Nephew: Essays on Art and Artists, 41-49. New York: Farrar, Straus and Giroux, 1998. Foucault, Michel. “Of Other Spaces.” In Politics-Poetics documenta X – the book. Edited by Catherine David et al, 262-272. Ostfildern: Cantz, 1997. Originally published in Diacritics 16: 1 (Spring 1986): 22-27. Garratt, Robert F. Modern Irish Poetry: Tradition and Continuity from Yeats to Heaney. Berkeley: University of California Press, 1986. Haughton, Hugh. “‘Even now there are places where a thought might grow’: Place and Displacement in the Poetry of Derek Mahon.” The Chosen Ground: Essays on the Contemporary Poetry of Northern Ireland. Edited by Neil Corcoran, 87-120. Bridgend: Seren Books, 1992. Heaney, Seamus. Place and Displacement: Reflections on Some Recent Poetry from Northern Ireland. First Peter Laver Memorial Lecture at Grasmere, 2nd August 1984. Trustees of Dove Cottage, 1984. Heaney, Seamus. The Spirit Level . London: Faber & New York: The Noonday Press, Farrar Straus Giroux, 1996. Kiberd, Declan. “From Nationalism to Liberation.” In Representing Ireland: Gender, Class, Nationality, edited by Susan Shaw Sailer. Gainesville: University Press of Florida, 1997. Liedtke, Walter. 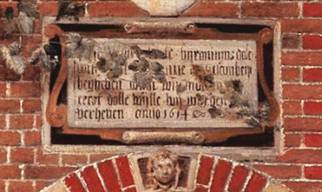 Vermeer and the Delft School. New Haven and London: Yale University Press, 2001. Longley, Edna. “Derek Mahon: Extreme Religion of Art.” In Poetry in Contemporary Irish Literature. Edited by Michael Kenneally, 280-303. Gerrards Cross: Colin Smythe, 1995. Mahon, Derek. Collected Poems. Loughcrew, Old Castle: The Gallery Press, 1999. Mahon, Derek. Selected Poems. Oxford: Oxford University Press; New York: Viking, 1991. Muldoon, Paul. To Ireland, I. Oxford: Oxford University Press, 2000. Peirce, C. S. Collected Papers, vol. 5. Bloomington: Indiana University Press, 1993. Peirce, C. S. The Essential Pierce, edited by the Peirce Edition Project, vol. 2. Bloomington: Indiana University Press, 1998. Schulze Altcappenberg, Hein-Th., et al. (eds) Sandro Botticelli: The Picture Cycle for Dante’s Divine Comedy. New York: Harry N. Abrams, 2000. Stevens, Wallace. Stevens: Collected Poetry and Prose. Selected by Frank Kermode and Joan Richardson. New York: The Library of America, 1997. Stevens, Wallace. The Necessary Angel: Essays on Reality and the Imagination. New York: Vintage Books,  1965.